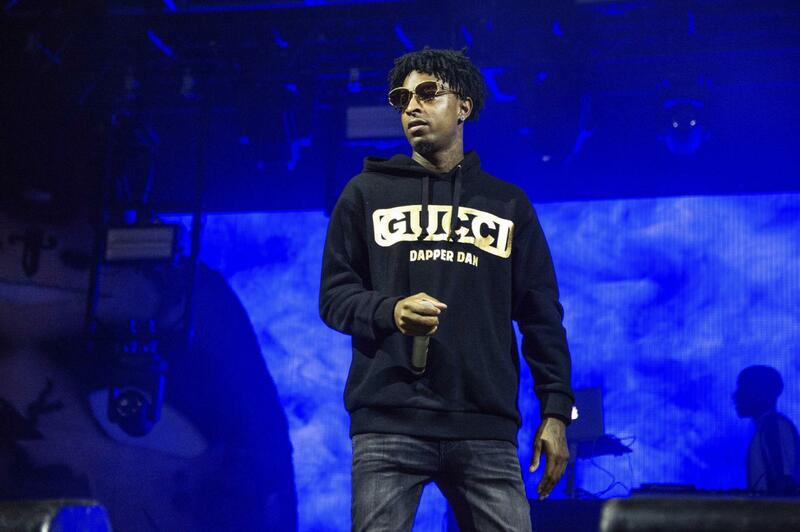 Sheyaa Bin Abraham-Joseph, better known as 21 Savage, was arrested by Immigration and Customs Enforcement (ICE) on Super Bowl Sunday. The believed Atlanta born rapper is actually from the United Kingdom, coming to the U.S. with his family when he was 7 years old. The rapper hosted his third “Issa Back to School Drive” event last year, donating his time and $10,000 to Atlanta’s Continental Colony Elementary School. He also launched his “21 Savage Bank Account Campaign” on “Ellen,” promising 21 teenagers $1,000 each in a scholarship fund to help them with financial literacy. Using his hit song “Bank Account,” he helps kids who come from similar backgrounds as him to learn valuable money-management skills. According to Abraham-Joseph’s lawyers, his application for a U visa is pending. This particular visa is reserved for “victims of certain crimes who have suffered mental or physical abuse and are helpful to law enforcement or government officials” according to U.S. Citizenship and Immigration Services. Reportedly, an incident in 2013 left his best friend dead and Abraham-Joseph physically affected. The detainment of Abraham-Joseph has sparked support from celebrities and other rappers such as Cardi B, Meek Mill, Post Malone and Jay-Z. In addition to vocally supporting him, Jay-Z took it a step further when his recording company Roc Nation hired a lawyer to assist with the immigration charges. Celebrities are not the only ones supporting him. Black Lives Matter co-founder Patrisse Khan-Cullors set up a #Free21Savage petition, which has nearly 400,000 signatures. A statement released by Abraham-Joseph implies that he was detained in response to his recently released song “A Lot,” that had lyrics slamming immigration officials. Abraham-Joseph, a prominent figure in the Atlanta community, has also received support from government officials that believe ICE is a problem, not a solution. Georgia State Representative Hank Johnson wrote a letter to an immigration judge on behalf of the rapper. Furthermore, in a statement Kuck said that dreamers “come from all walks of life and every ethnicity.” While a large percentage of those who face legal status issues are of some sort of Latinx heritage, it is by no means all encompassing. According to ICE fiscal reports from 2017, about 16,000 people not from a Latinx country were removed from the U.S.
Erica Thomas, another Georgia State Representative, has also spoken out to support him. “Mr. Abraham-Joseph shares the story of millions of children brought here under circumstances unbeknownst to them.” Rep. Thomas acknowledged his community presence in Atlanta and further questioned ICE’s authority. “This country is getting more and more divided every day when we allow ICE to start choosing who they think should be here over others. This country is a melting pot and that is what makes us great,” Thomas said. The detainment of Abraham-Joseph is the just newest of many examples of the brutality and injustice of ICE policies. Hopefully, the widespread support of Abraham-Joseph sheds light on the issues many households deal with daily.